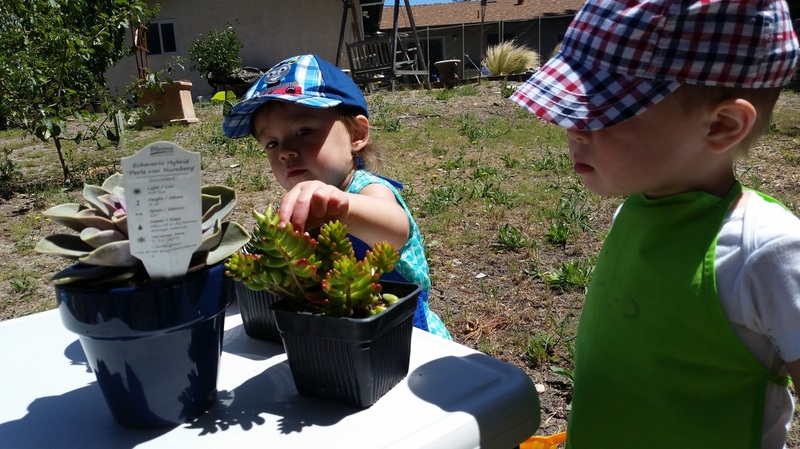 Hands-on gardening is the perfect way for kids to get outside and get their hands dirty. 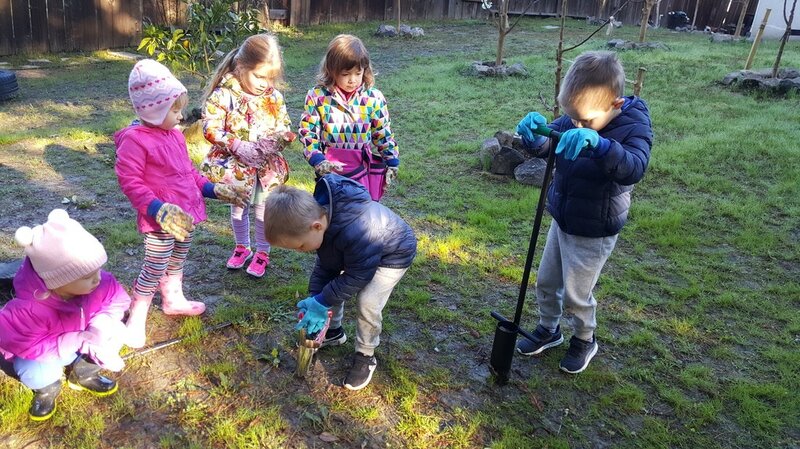 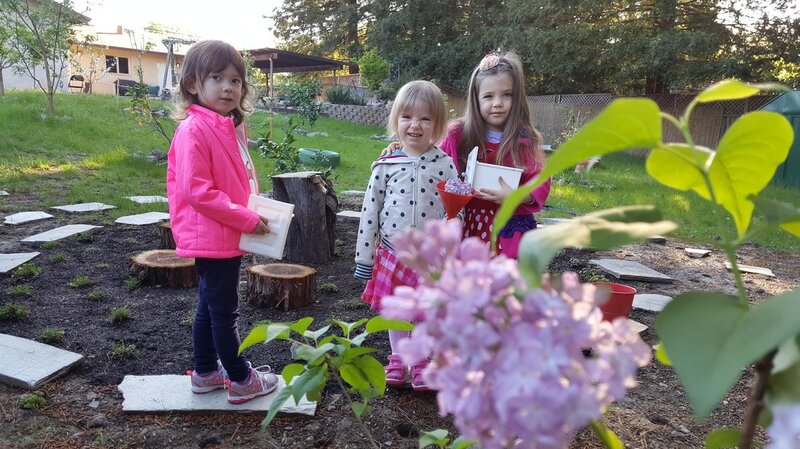 The Green Sprouts Program provides fun, engaging gardening experiences, and helps develop an appreciation of the natural environment. 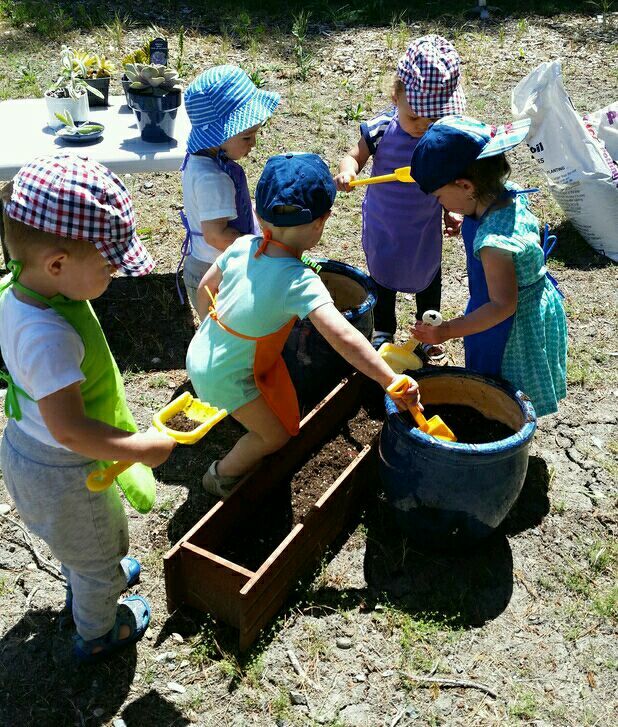 Children participate in a hands-on program where they plant and nurture flowers and plants while learning how to live a green life style. 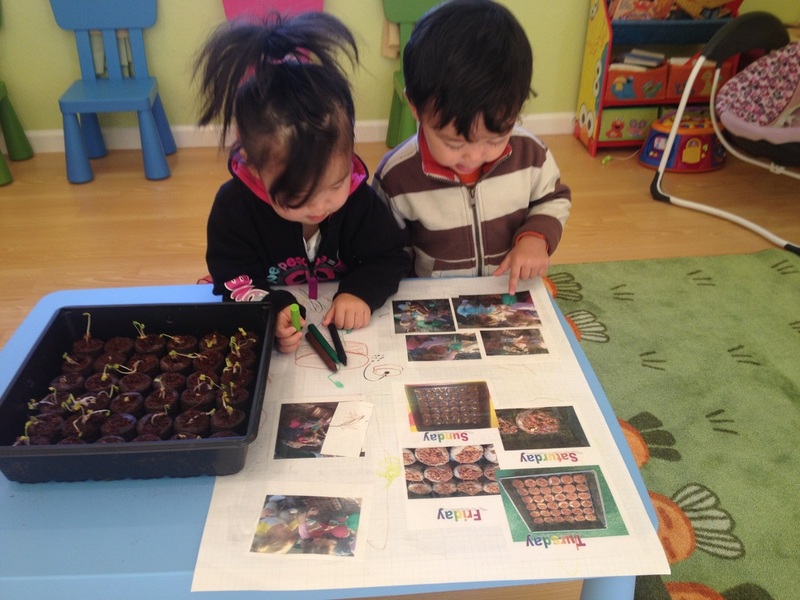 Each child will get to bring home their own projects and continue their involvement beyond the child care. 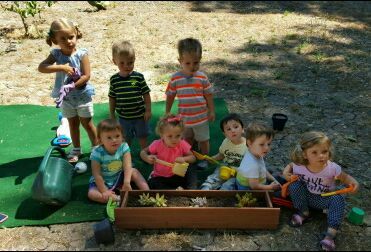 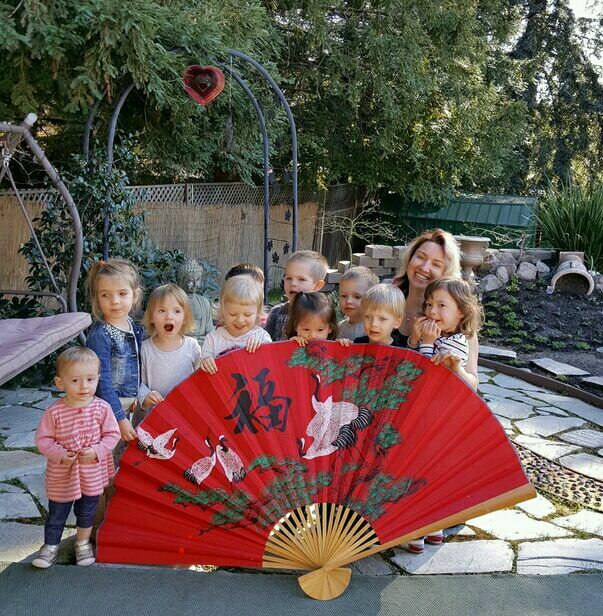 While having fun and participating in different activities each week, they will learn responsibility for themselves and other living things. 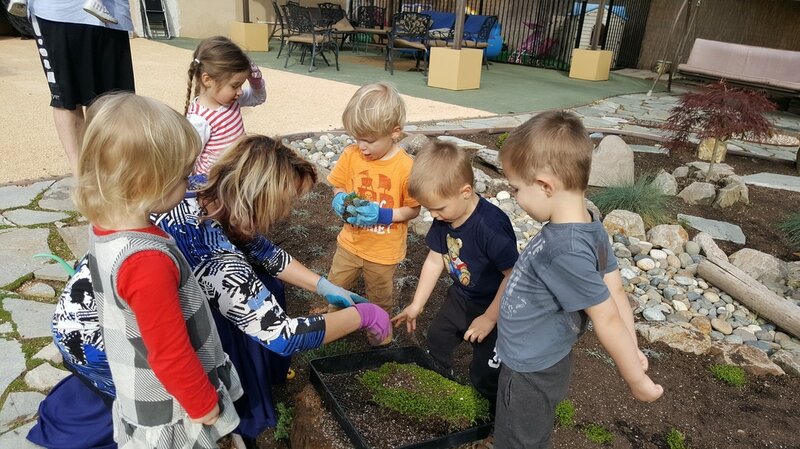 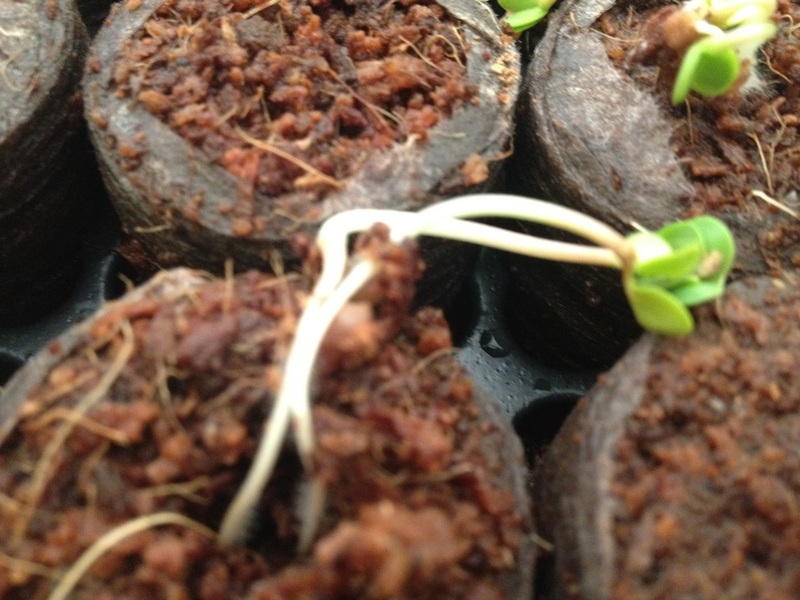 With the Green Sprouts program, kids can learn by engaging in hands-on activities in which they observe seeds, plant them, and watch them grow. 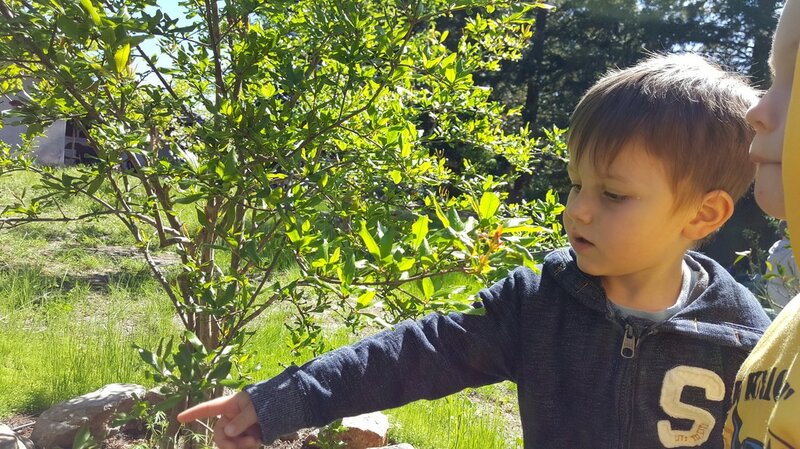 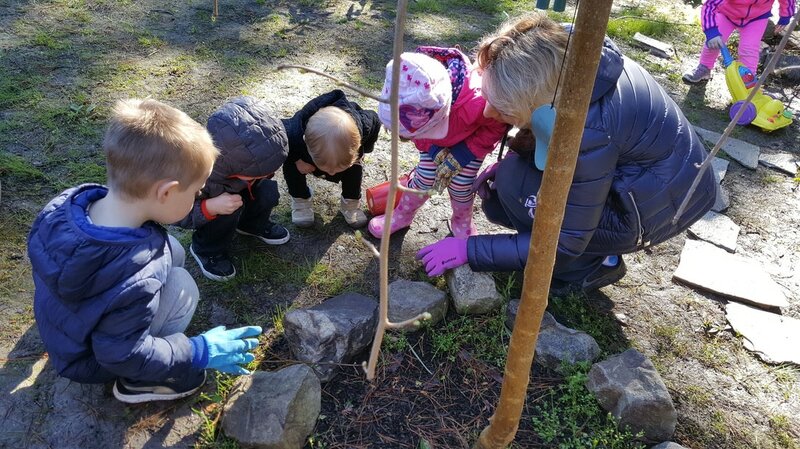 This program builds on a child's natural curiosity about nature by providing them with the opportunity to examine the life cycle of a plant up close and personal. 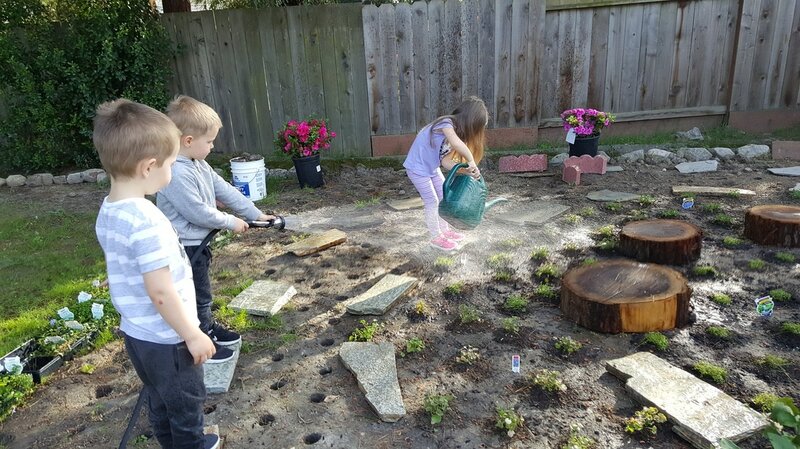 Gardening is fun! 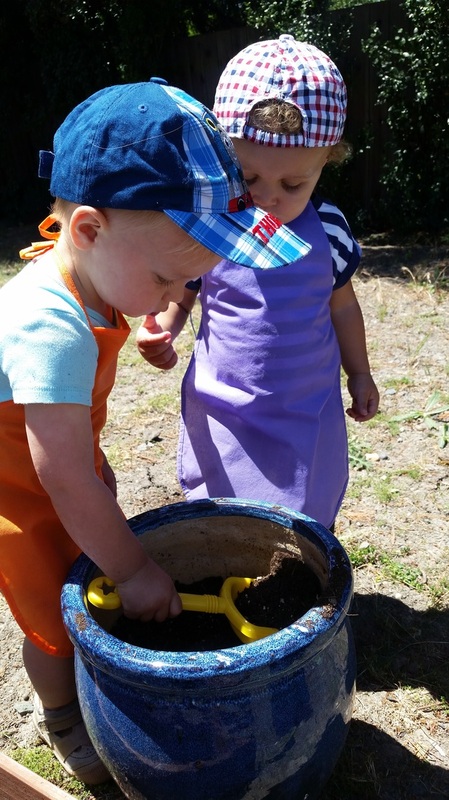 The process involves dirt, water, and digging, and it yields hours of fun, as well as a lifetime of memories. 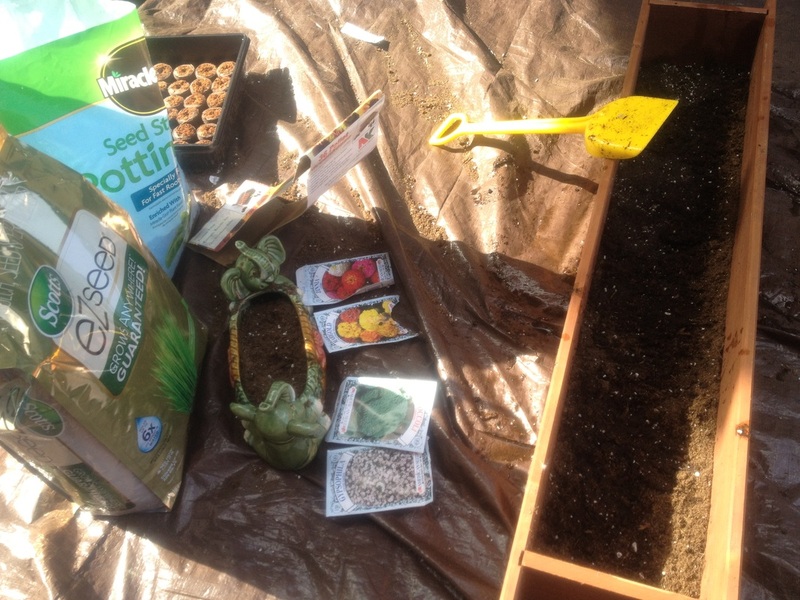 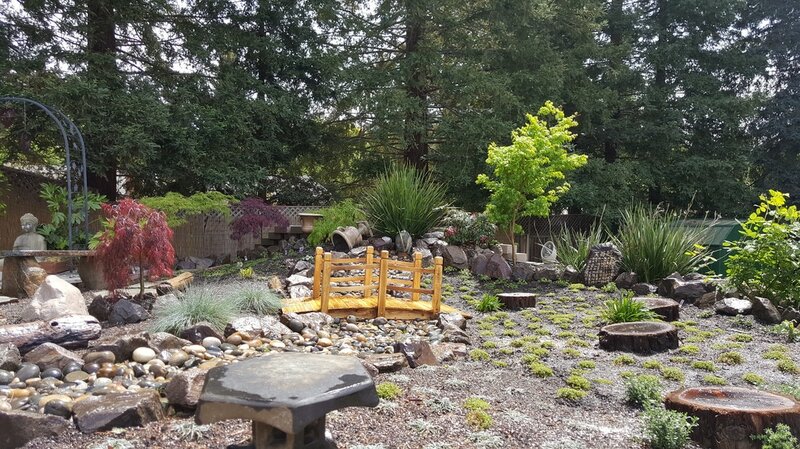 Each gardening season offers unique and engaging indoor and outdoor activities. 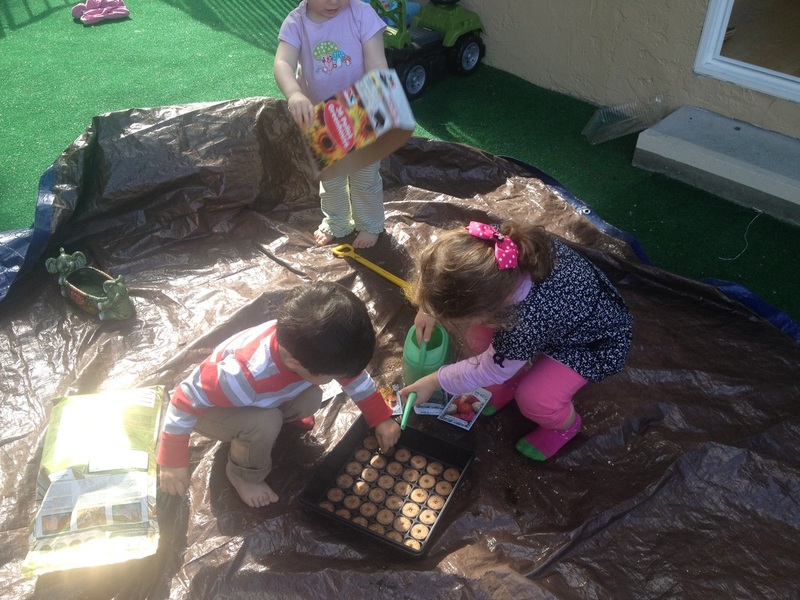 The program runs rain or shine! 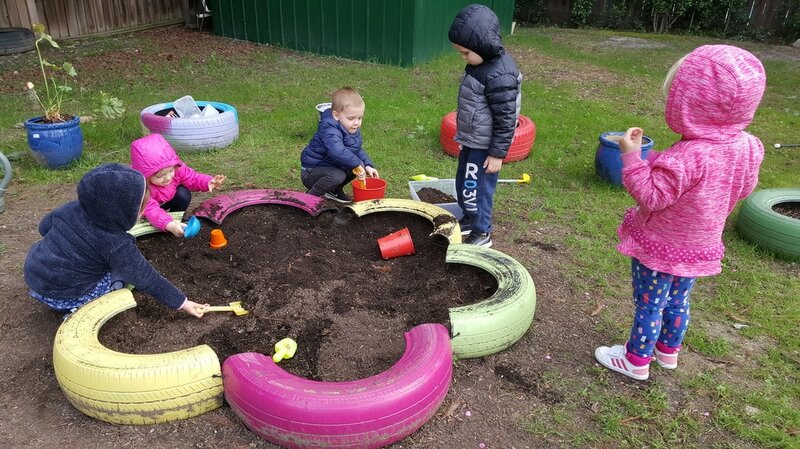 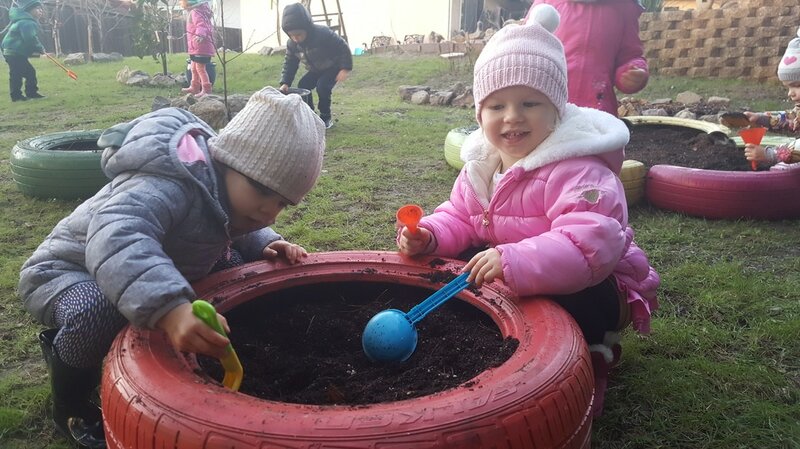 The kids will learn: how plants and flowers grow, the names of plants and flowers and what they look like, The safe and proper use of gardening tools, and the importance of ongoing care for plants and flowers. 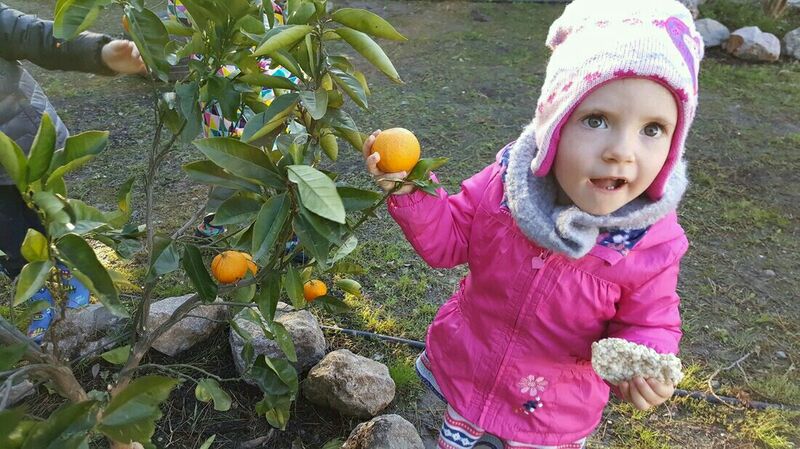 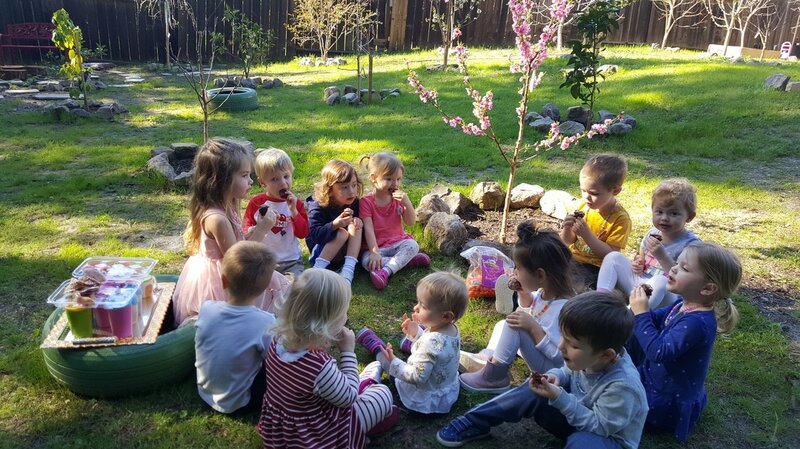 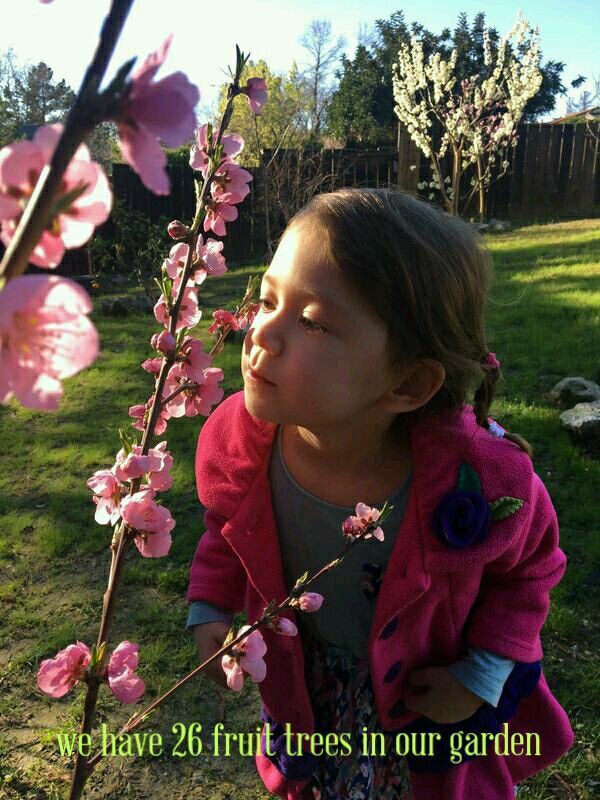 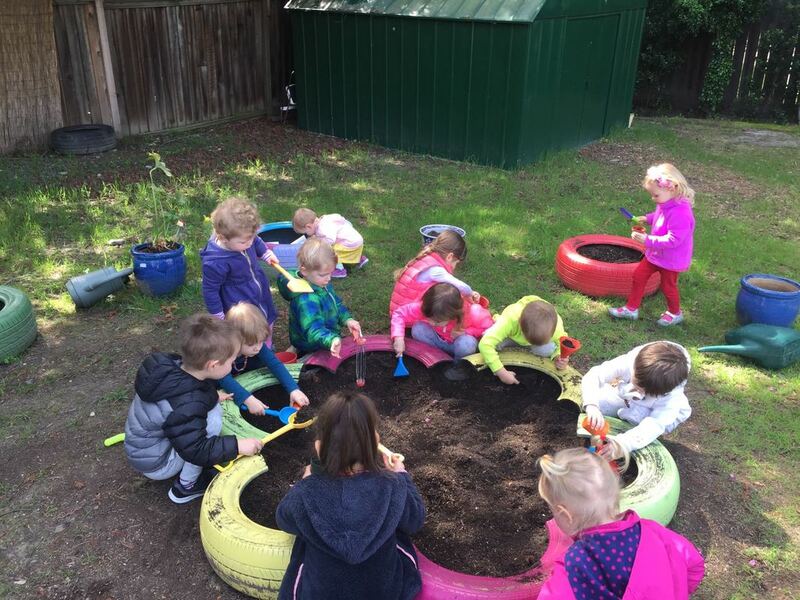 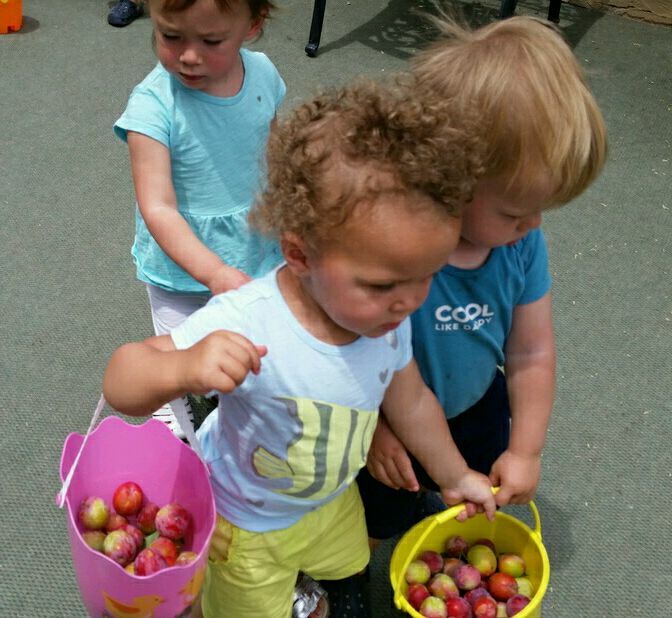 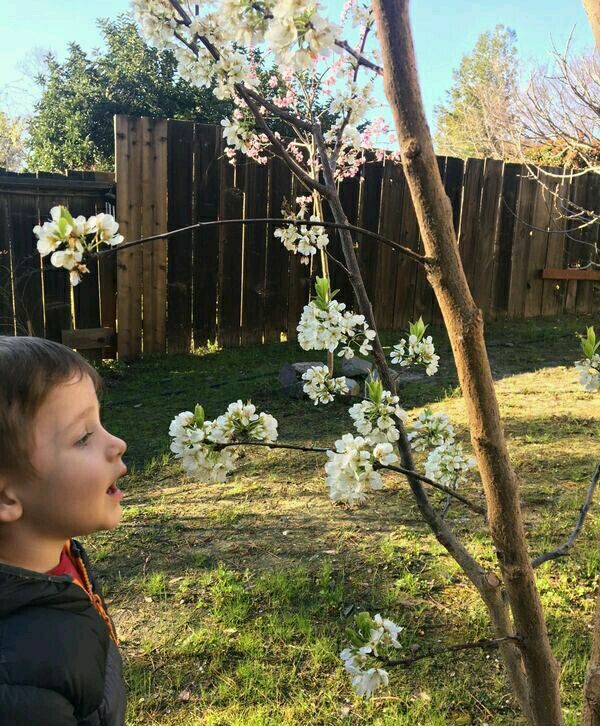 By doing this they develop an appreciation for nature and the environment, develop hand/eye coordination as well as fine and gross motor skills, develop observational, social, emotional and creative skills, and receive an introduction to concepts like responsibility, sustainability, and community. 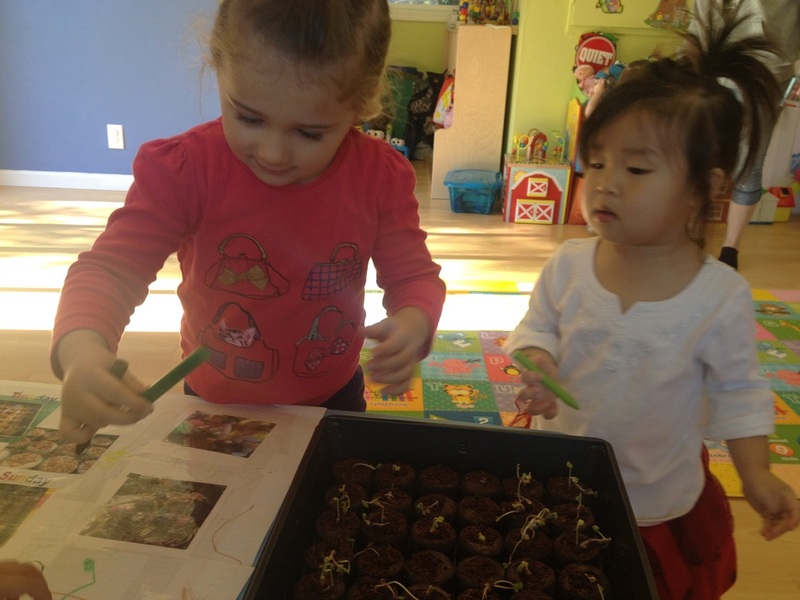 The Green Sprouts Program is a fun learning experience which the children will carry with them for the rest of their lives. 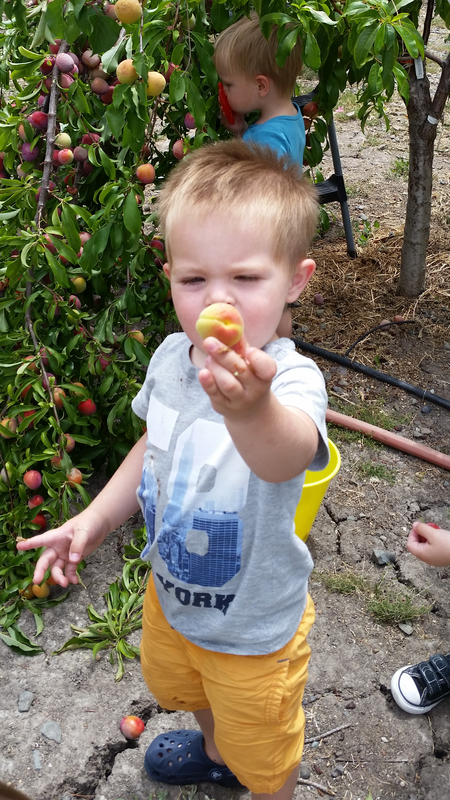 The U.S. Department of Agriculture estimates that more than 60 percent of our children do not eat the recommended amount of fruits and vegetables they need. 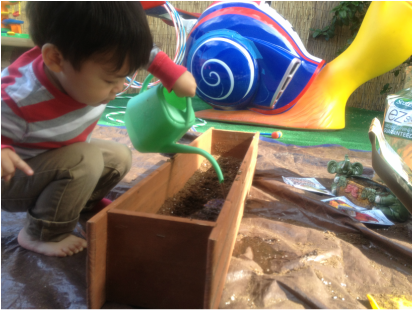 Gardening is an excellent way to encourage and increase your child’s consumption of these vitamin-rich foods.